Kyat (MMK) = 100 pyas. Notes are in denominations of MMK1000, 500, 200, 100 and 90 pyas. Coins are in denominations of MMK1, and 50, 25, 10, 5 and 1 pyas. FECs, which are printed in China, are Myanmar’s second legal currency and are issued by the Bank of Myanmar specifically for visiting tourists. They come in denominations equivalent to US$20, 10, 5 and 1. Payment for FECs is only accepted in US Dollars. One US Dollar equals one FEC. 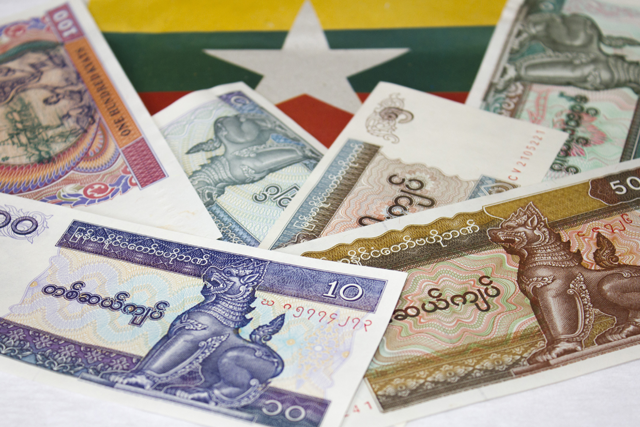 FECs can be exchanged into Kyats at officially authorised banks, bureau de change, hotels and Myanmar Travel and Tour offices, and can be spent anywhere in the country. Cash payments can also be made in US Dollars, but only at establishments (eg hotels, railway stations, airlines) that have an official licence allowing them to accept dollars. Wherever possible, it is advisable to change US Dollars into Kyats rather than FECs, as FECs usually have a poorer exchange rate than Kyats. However, US Dollar traveller’s cheques can only be exchanged into FECs and not directly into Kyats unlike US Dollar cash. It is also recommended to carry small change as large notes may be difficult to change. Euros are now also accepted in all banks and currency exchange bureaus. It is unlikely that credit or debit cards will be accepted, except in a few major international hotel chains; it is best to check with your card company prior to travel. Though there are an increasing number of ATMs in tourist areas, they are few and far between, therefore we recommend bringing mostly cash with you for your trip. 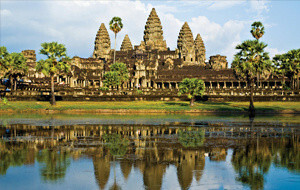 Locate ATMs accepting VISA cards (Place link – http://visa.via.infonow.net/locator/global/jsp/searchpage.jsp). Locate ATMs accepting MasterCard here (Place link – http://www.mastercard.com/us/personal/en/cardholderservices/atmlocations/index.html). The import and export of local currency is prohibited. There are no import limits on foreign currencies, but any amount must be declared on arrival and the declaration certificate kept safe – on departure, foreign currencies are checked with the amounts declared on entry. There are regular customs checks at Yangon airport, aimed at curbing black-market activities; this makes it essential to keep all receipts in order to account for money spent while in the country. Health insurance is strongly recommended. There are hospitals and clinics in cities and larger towns, and regional health centers in outlying areas. It is advisable to carry a remedy against minor stomach upsets. A yellow fever vaccination certificate is required from all travellers arriving from infected areas. Cholera vaccination certificate is no longer a condition of entry to Myanmar. However, cholera is a serious risk in this country. Immunisation against typhoid and poliomyelitis is strongly advised. Malaria risk, predominantly in the malignant falciparum form, exists below 1000m (3281ft). The recommended prophylaxis is mefloquine and doxycycline, depending on the specific area visited. Diarrhoea, amoebic and bacillary dysentery, and typhoid fever are all common. Japanese encephalitis may be caught via mosquito bites, particularly in rural areas between June and October. A vaccine is available, and travellers are advised to consult their doctor prior to departure. Filariasis, Dengue Fever, Trachoma and Hepatitis A, B and E are also present. The people in Myanmar are extremely friendly and polite, so for the tourist, it is a very safe country. Robberies and thefts are extremely uncommon. But like always, use your common sense, take care of your valuables in crowded places, and don’t expose your wealth when changing money. Take care when you want to talk about politics, not for yourself, but because the people you talk to can get in trouble. They will give you a sign when it’s safe for them to talk about it. Almost the entire country is affected by natural hazards. Drought is the most persistent hazard and cyclones impact three small distinct regions. Earthquakes and floods significantly affect similar areas and landslides also present a significant risk to the regions on the western border. This is still the most efficient way to move within Myanmar. There is a rather limited schedule of flights, and a rather less than perfect safety record. Air Mandalay and Air Yangon operate internal flights. Internal security can restrict ease of movement. There are daily flights to most towns, charter flights are also available. There are over 60 airstrips in the country. Myanmar Railways does provide services on several routes. 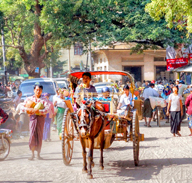 The principal line is Yangon to Mandalay which takes an estimated 12 to 14 hours. Overnight trains have sleeping carriages. There is also good service from Mandalay to Lashio to Myitkyina. The state-run railway has 4,300 km (2,700 miles) of track and serves most of Myanmar. First class is available but, with the exception of the Yangon to Mandalay line, services are regularly afflicted with delays caused by climatic, technical and bureaucratic difficulties. Tickets must be purchased as part of an organized tour group. Visitors should be aware that much railway equipment is decrepit and some accidents are unreported. The traffic drives on the right and there has been some modernization of Myanmar’s once-antiquated vehicles. Visitors must remember that, under Burmese law, the driver of a car involved in an accident with a pedestrian is always at fault. Buses are generally operated by the state-owned Road Transport Enterprise. Public bus services tend to be unreliable and uncomfortable, visitors may pay using the Kyat currency on certain lines only. Owing to the ongoing privatization program of the transport industry, a fleet of privately operated buses is also available. The main lines are from Yangon to Meiktila, Pyay, Mandalay and Taunggyi. Private buses are air conditioned and accept payment in Kyat, US Dollars or FECs. Bicycles are available for rent. An International Driving Permit is required. This must be presented to the police, who will endorse it or issue a visitor’s license. 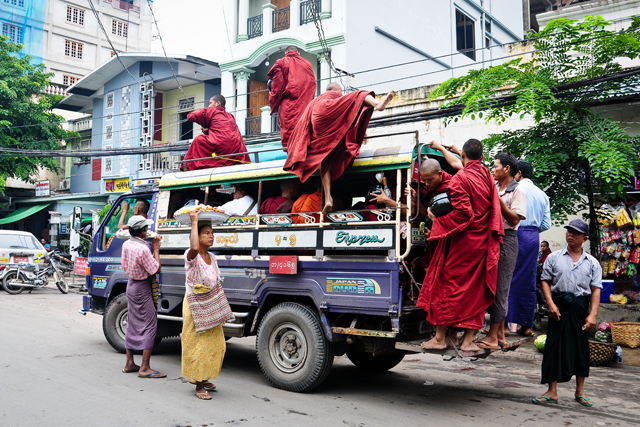 Yangon has a circular rail service and there are also antiquated and overcrowded bus services in all cities. Yangon has blue government taxis with set fares. Un-metered three and four wheel taxis are available in cities, as are rickshaws; it is wise to pre-arrange fares. Taxi drivers do not expect a tip. 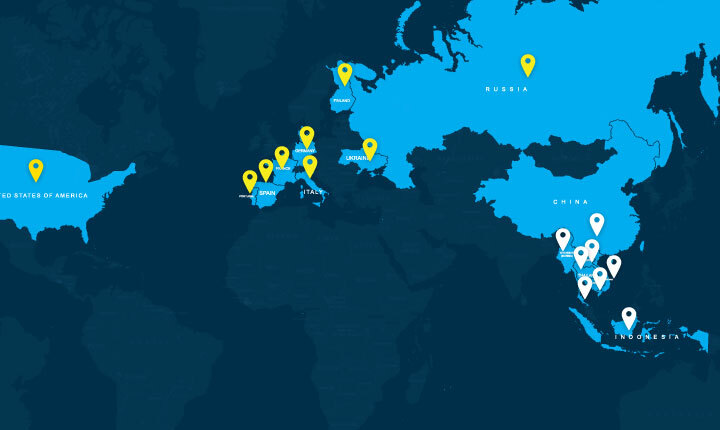 IDD is available in the main cities. The country code is 95. For emergencies, dial 199 (police), 191 (fire) and 192 (ambulance). There is a limited internal public service. Only larger cities can be dialed direct from within Myanmar. Smaller towns still use manual switchboards and callers need to ask the operator to connect them to a specific town operator. The Central Telephone and Telegraph (CTT) office on the corner of Pansodan and Mahabandoola Street are the only public place in the country where international telephone calls can be conveniently arranged. The office is open Mon-Fri 0800 to1600 and weekends and holidays 0900 to 1400. Fees are high and the coverage is limited. All visitors who want to use communication devices such as mobile phones and receivers must first apply for permission from the Government of the Union of Myanmar. Without prior permission granted, mobile phones will be temporarily held by customs on arrival. The General Post Office (GPO) is beside the Morning Market in Vientiane. Normal postal service is inexpensive and generally reliable. A courier service is recommended for urgent or valuable mail. Airmail to Europe takes at least a week and longer to the USA. There are a few Internet cafes but access to many free international e-mail services is blocked. All Internet use is monitored by the government and is usually expensive. If an internet connection at your hotels is vital please advise your Focus Asia travel consultant. 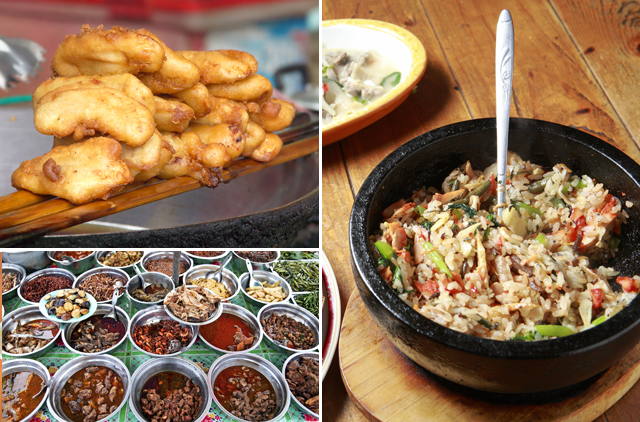 Regional food can be tried at street and market stalls, but you must be careful with hygiene. Burmese are lovers of snacks and you’ll find plenty of street stalls selling these towards the evening. The traditional breakfast is varied, composed of fried rice and peas, nan pya (Indian bread) and cream or goat-leg soup, monhingar, nangyi, coconut noodles, assorted fried vegetables, steamed glutinous rice and peas. Traditional snacks include bread and butter. It is usually washed down with Chinese or strong green Burmese tea or coffee. A typical lunch or dinner consists of a main dish, a side dish, a sweet or sour soup and a form of fish paste or shrimp paste. The main dish typically features pork, chicken, mutton, beef, fish, shrimp, duck, eggs, or catfish, that’s cooked, stewed, fried, steamed, roasted, broiled, boiled or simmered in various ways. Ngapi, which means pressed fish, is a speciality present at most meals. Another common dish is balachaung, a fried shrimp paste with crushed garlic, onions and chillies. Side dishes are usually a salad made with vegetables combined with meat, fish or shrimp. Soups are either sweet or sour and mostly vegetables with meat or fish. A popular finish to a meal is the betel chew. The dried areca nut is wrapped in the betel leaf with a lime paste. Sometimes tobacco, peppermint or other spices are added. Traditional ethnic specialities include the Khauk-swe that is composed of wheat noodles in a broth made with chili-marinated chicken; it is typical of Shan cuisine. Other Shan dishes are htamin chin, a rice salad made with turmeric, and khauk sen, rice noodles with fish. The Mon food usually contains chillies and curry. The Rakhines cuisines enjoy spicy curries and seafood is popular. Talapo is a Karen dish made of rice and bamboo shoots, lemon grass and fish paste that is certainly worth a try. A typical lunch or dinner consists of a main dish, a side dish, a sweet or sour soup and a form of fish paste or shrimp paste. Talapo is a Karen dish made of rice and bamboo shoots, lemon grass and fish paste that is certainly worth a try. Tea is one of the most refreshing drinks in the tropics or fresh lemon/lime juice mixed with water. Chinese tea is generally preferable to the over-strong, over-sweet and over-milky Burmese tea. Sugar-cane juice is a popular street-side drink and stronger refreshments include orange brandy, lychee wine, white liquor or the local jungle liquor, fruit juice, water-buffalo milk and Mandalay beer. Tipping is not customary, but is becoming more common in tourist areas, especially in the big cities. Myanmar is often called the land of festivals and its citizens love to throw events and festivals all year round. It is among the greatest experiences one can enjoy when discovering this great nation. It happens all year around and all over the country. Below is an outline of the main festivities. Please confirm dates with us before booking any trip, as these dates change every year due to the Buddhist lunar calendar followed in Myanmar. 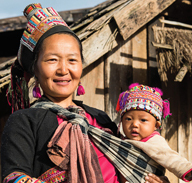 The Kachin Manaw Festival is a delightful festival and one of the most popular in Myanmar. It is held in Myitkyina and Putao in Kachine state. It celebrates the New Year, victory in battles, reunion of the tribes and more. Everybody joins the spiritual dance lined up behind one another. The traditional Manaw poles are decorated in colourful Kachin motifs and are centred in the middle of the festival ground. All who came to the festival wear their best traditional costume and the main feature of the festival is dancing around the erected Manaw poles. The Ananda Pagoda Festival symbolizes the limitless wisdom of Buddha. It is a month-long sanctified festival for the temple Ananda, which is the most beautiful one out of 2,000 holy monuments in Bagan. The busiest day of the festival is on the full-moon day of the lunar month. Villagers and pilgrims around Bagan roll in the sacred site of Ananda for the consecration. The festival is also meant for social gathering, reunification, propagation and perpetuation of the religion that is Buddhism. During the festival, walk around the sea of vendors and shops that sell traditional Myanmar food and enjoy the local atmosphere. The Mahamuni Pagoda Festival takes place in Mandalay and falls on the full moon day of Thabodwe. It usually lasts for two days. Delicate glutinous rice contests are being held on the pagoda’s platform. A variety of incense sticks are burnt for the Myanmar Buddha image on the full moon day and thousands of people from all over the country make the pilgrimage to the Mahamuni Pagoda. The temple is always the centre of activities and during this festival it explodes with energy. 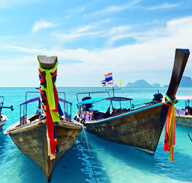 The Salone festival is held at Majungalet Village on Bocho Island near Lampi Island in Myeik, Thanintharyi division. 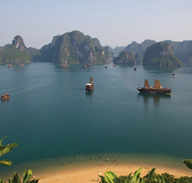 It is celebrated every year to promote Salon and Myeik Archipelago as one of the main tourism attractions for international markets. You will witness traditional and spiritual dances, diving competitions and a fascinating way of life. There are also rowing competitions, folk singing and a traditional Salone feast. The Salone people, or sea gypsies, live nomadic sea lives for seven months of the year, living off their ingenuity and the resources of the ocean. 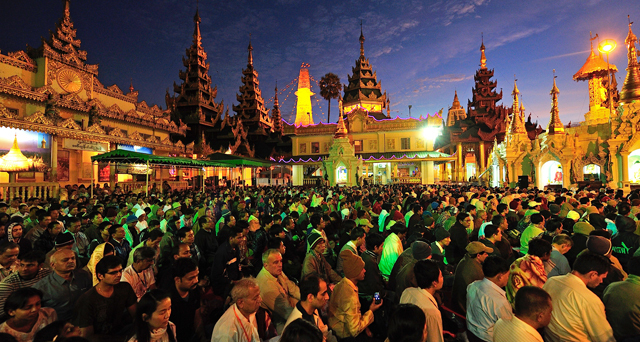 The ShweDagon Pagoda Festival takes place in Yangon and is celebrated on the full moon day of Tauaung every year. It happens on the hill of Seinguttra in the richest and most stunning pagoda you can ever see. The Stupa of shimmering gold measures 326 feet and is the second-tallest religious structure in the country. With its glittering crown embedded with precious gems and weight of gold beyond enumeration, it remains one of the modern wonders of the world. The Kakku Pagoda Festival takes place on the full moon day of Tabaung, which is the last month of the Myanmar lunar calendar. It begins usually two or three days in advance, for this is not just a religious festival but also a social occasion. It is the time for all to have fun, exchange news and gossip, and to trade. For the youngsters, it is the set time to meet their friends from other villages or for the boys to fall in love with the girls. 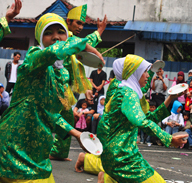 People of the region arrive by the thousands dressed in their traditional costumes. Some come in bullock carts while others arrive by more modern conveyances on the village tractor. The most interesting time to visit during this event is to get there before dawn of the full moon day of Tabaung where the Pa O people in all their finery come with gaily decorated trays bearing morning food offerings. The Mann Shwe Sattaw Pagoda Festival is one of the most significant pagoda festivals in upper Myanmar. It usually lasts from mid-February to mid-April. It is situated 36 miles away from Magwe and people from the entire nation come to experience the pilgrimage to a sacred and holy place. The footprints of Lord Buddha are to be seen as well as amazing panoramic views. Another exhilarating experience is the final bathing taken in cool, clean and sparkling waters of Mann Creek after an exhausting day. This place is simply beautiful, peaceful and pleasant. A must see and not to be missed on your journey. 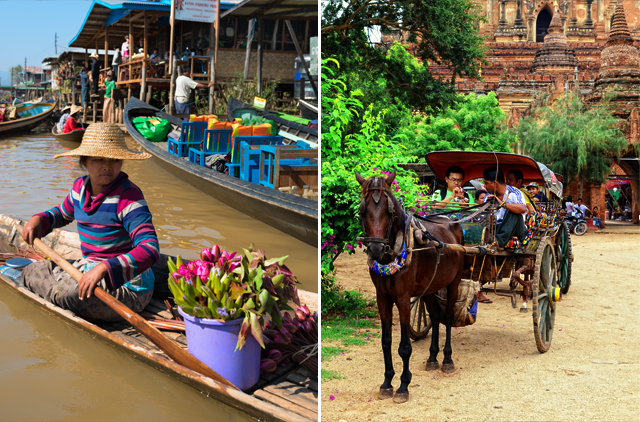 The Mekong Water Festival also takes place in Thailand, Cambodia, Vietnam and Laos. It is believed to wash away sins and to welcome the New Year. The festival is the most popular and colourful celebration of the year for 20 million people who will abandon any thoughts of work and bring their nation to a standstill. People around the country gather together and visit pagodas, make offers and pay homage to the monks, play traditional games and celebrate with their joyous spirit. 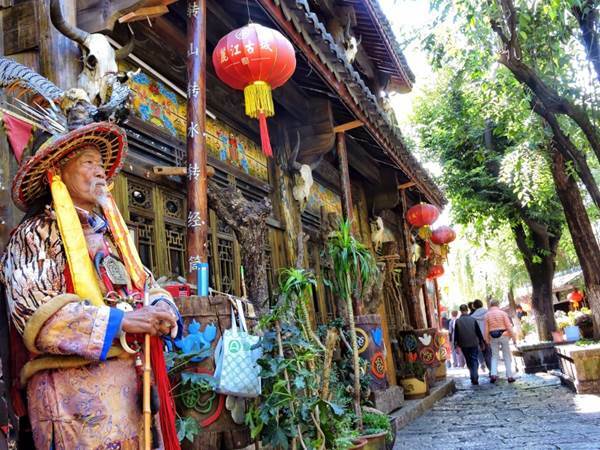 After playing around and having fun throughout the country, the city-dwellers welcome the New Year on the 17th by cleaning the floors of the pagodas and monasteries, washing elderly people’s hair, and help them cut their nails. Some offer free food and drinks for everyone who visits the pagodas, some make donations. If you can be there, you will never forget the true joy. The Bo Tree Watering Festival takes place all over the country during the month of May. It celebrates spring season when water pours into ponds, lakes and creeks. The people of Myanmar march in a grand procession to the pagodas, to the Bodhi tree and to the holy Banyan tree where Buddha attained enlightenment to pour scented water. On the full moon day of Kason, Buddhist devotees celebrate not only the water pouring ceremony at the Bodhi tree but also perform meritorious deeds by keeping Sabbath, meditation, offering flowers, light, water and incense to the images of lord Buddha. The Taung Byone Festival is only about an hour drive from Bagan and this festival is usually held for three days. Devotees from all over Myanmar come to this special festival and offer their donations and enjoy themselves with the blessings of the spirits, every year. They pray for prosperity, fame, and luck for the coming year. It happens on Mount Popa, a vast volcanic mountain that has many legendary stories about the Nats spirits. The word “Nat” is believed to be derived from the Hindu Natha which means lord, saviour or protector. The Phaung Daw Oo Pagoda Festival is usually held during October. The festival takes about 18 days. 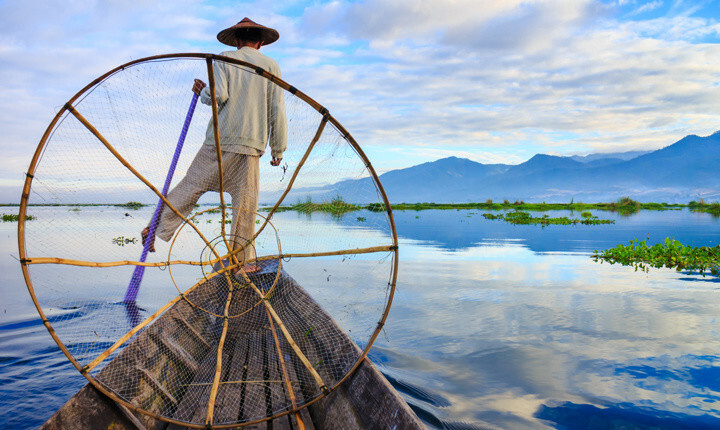 It is the biggest occasion held in the Inle Lake¸ Shan State, one of the most dazzling and magical places in Asia. The festival is held with great magnificence and pageantry. The holy Buddha’s images are placed on a decorated royal barge and towed by leg-rowers around the lake. Large crowds of people gather on the lake shores to celebrate the occasion, a splendid sight. Leg-rowers compete in Shan traditional boat races. The Dancing Elephant Festival is also famous in Myanmar. It is held in Kyaukse, near Mandalay. It is a marvellous performance of two men that takes place inside a huge elephant figure made from bamboo and paper. The men dance around the town to the accompaniment of dobat and drums. The elephant dancers circle three times at the foot of the hill to pay homage to the Shwe Tha Lyaung Pagoda. The dance requires precise rhythm and timing in order for the elephant dancers to maintain unity inside the elephant figure. People from far and near come to visit Kyaukse and watch the elephant dance. The Kyaikhtiyo Pagoda Festival is a special lights celebration that takes place on the Full Moon Day of Thadingyut where locals offer 9000 lighted candles and 9000 flowers to the Buddha. The next morning, rice, sweets and other snacks are offered. The pagodas’ platform and passage are suddenly filled with visitors and most hotels in the area are fully booked well in advance. Note that appropriate clothing is recommended since the weather is cold up on the mountain. The Tazaungmon Festival is an auspicious time for the offering of yellow robes to the monks. The Buddha’s mother, reincarnated as a god in Tavatimsa, perceived from her heavenly abode that her son would soon be discarding the royal robes and wearing a monk’s garments. She wanted to provide the yellow robes of the monk and she had only a night’s time. But she had it woven in a single night and offered it to the Prince Siddhartha by a celestial messenger. In commemoration of this event, weaving competitions of yellow robes are held all over the country. The Lu Ping Festival takes place in Taunggyi, the capital of the Southern Shan State. It is commonly known as the hot balloon festival celebrated by Pa O, one of the many ethnic groups in the region. On the occasion people enjoy fun and merriment by holding firework-launching competitions. The firework is in the form of rockets. There are also hot balloons competitions on the day and night occasions. Day balloons are usually in the form of Pagodas, and animals such as elephants, dragons or ducks. The night balloons are usually in the shape of a rugby ball, huge elongated paper balls with small lighted multicoloured paper lanterns. In the larger towns, bargains can be found at public markets, known as zei or zay or at main central markets in most areas known as zeigyo or zay-cho. There are lots of things to buy in Myanmar including antiques, but be aware that there are strict regulations regarding their export. The same restrictions apply to archaeological artefacts. There are some wonderful items made from bamboo available. Coconut masks make for interesting decorations and come in all shapes and sizes and are popular gifts to take home. The most sought-after embroidery is the Kalaga, a traditionally crafted tapestry depicting Buddhist scenes. Folk Dolls reflect the numerous national races in Myanmar; they come in many different varieties and are a popular souvenir. Teakwood furniture is made by local craftsmen and can be made to order. Burma’s red rubies are among the worlds’ finest. These high quality stones are now rare but are sometimes available from reputable shops in Yangon. Jade and sapphires are more widely available. Don’t be tempted by friendly street vendors offering stones, they are likely to be fake. Gold is sold in Yangon’s reputable jewellers. A wide variety of silver (of varying quality) is available in many tourist shops, from beads to intricately designed boxes and bowls. Tribal jewellery is more valuable and rare. Though design and workmanship is not generally up to international standards, there are some unusual and attractive pieces. Gold needs to be checked to make sure that it is not merely gold plated silver. Gold embroidery is expensive, but some very fine pieces can be found throughout the country, though the larger cities have more variety. The manufacture of gold leaf is concentrated in Mandalay as a cottage industry. It is sold in little packets and is used as an expression of reverence for temple images but is popular with overseas buyers for handicraft work back in their homeland. Older pieces of silverware are particularly attractive and are more plentiful in the main cities where the choice is better too. 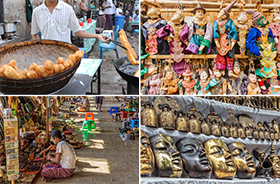 For those who are interested in handicrafts, the Bogyoke Aung San Market in Yangon or the Zeigyo Market in Mandalay are good choices to shop. The array of goods for sale is huge and cheap. You can purchase just about anything you want from these two markets. Bagan is the centre of lacquer-ware production, with a range of pieces available. Scott Market in Yangon sells similar pieces. Most designs are based on religious scriptures. Attractive items from small purses to large leather bags which will last for years are available in most areas. The men’s traditional longyi is a much more comfortable alternative to tight jeans or trousers when travelling through Myanmar. Delightfully styled marionettes of all sizes dangle at market stalls. 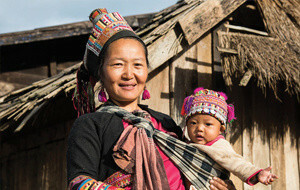 Superbly woven items from baskets to placemats are available throughout Burma. Shan style shoulder bags are both an attractive and practical buy. Stone carvings are lovely pieces for the house or garden, but shipping can be complicated and the advice of a local person is advised. Kalaga embroidered tapestries are the ones to look out for. These beautifully ornate creations make magnificent wall decorations when suitably framed, though quality can vary greatly and older pieces tend to look more aesthetic. Thanaka paste can be seen being worn (mainly by women) across Burma. It controls oiliness, tightens pores, cools the skin and acts as a sunscreen. Beautiful high quality silk and cotton longyis are found countrywide. These are well-priced and easy to pack. The famous Shan shoulder bags are popular gifts and can be bought throughout the country. Many wooden carved pieces are available, both old and new, in different woods. Avoid purchasing any teak products as this is an endangered hardwood. Do be advised that there is no trading standards authority in Myanmar, so check the quality of what you’re buying very carefully, especially if there are safety concerns involved. Don’t expect to get your money back if you change your mind after making a purchase, or even if you realize that the goods you have been sold are not as advertised. The national airline is Myanmar Airways International (UB). Yangon has direct air links with Abu Dhabi, Bandar Seri, Bangkok, Bangladesh, Begawan, Bombay, Calcutta, Jakarta, Kunming, London, Moscow and Singapore. 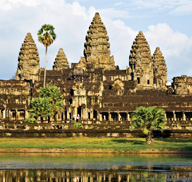 Airlines serving Myanmar include Air China, Austrian Airlines, Bangladesh Airlines, Indian Airlines, Qatar Airways, Silk Air and Thai Airways International. 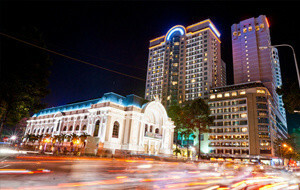 Yangon (RGN) is 19 km (12 miles) from the city. To/from the airport: Buses go to the city (travel time – 30 minutes). Taxis are also available (travel time – 45 minutes). Facilities include restaurants, bars, snack bars, banks, post offices, duty free shops and tourist information. USD$10, payable also in FECs (Foreign Exchange Certificates; see Money section for details). Passengers in direct transit are exempt.